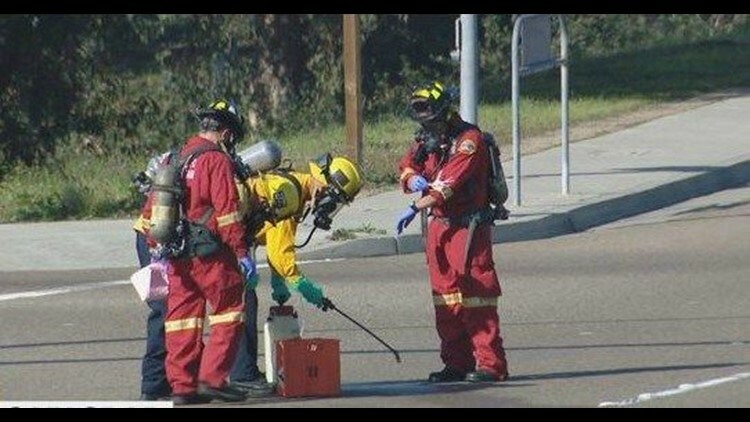 CARLSBAD (NEWS 8) - A chemical spill in Carlsbad shut down an off-ramp from Interstate 5, according to the California Highway Patrol. It happened Friday at the off-ramp from southbound I-5 to Poinsettia Lane around 8:00 a.m., CHP said. The off-ramp was closed while Hazmat crews cleaned the area.